All Natural Vegan 3 inch Soy Sphere Candle, Scented or Unscented. Small Round, Ball Candle. Wrap includes a Kraft Brown Box or cello bag/green tissue paper combo depending on size of the item, + Black Raffia Bow & gift tag. PRICE IS PER ITEM. All Natural Vegan Soy Sphere Candle Set, Scented or Unscented. Large and Small Round, Ball Candles. All Natural Vegan Soy 3.5 inch Pillar Candle , Scented or Unscented. Short Pillar. All Natural Vegan 2.25 inch Soy Sphere Candle, Scented or Unscented. Extra Small Round, Ball Candle. All Natural Vegan 5 inch Soy Sphere Candle, Scented or Unscented. 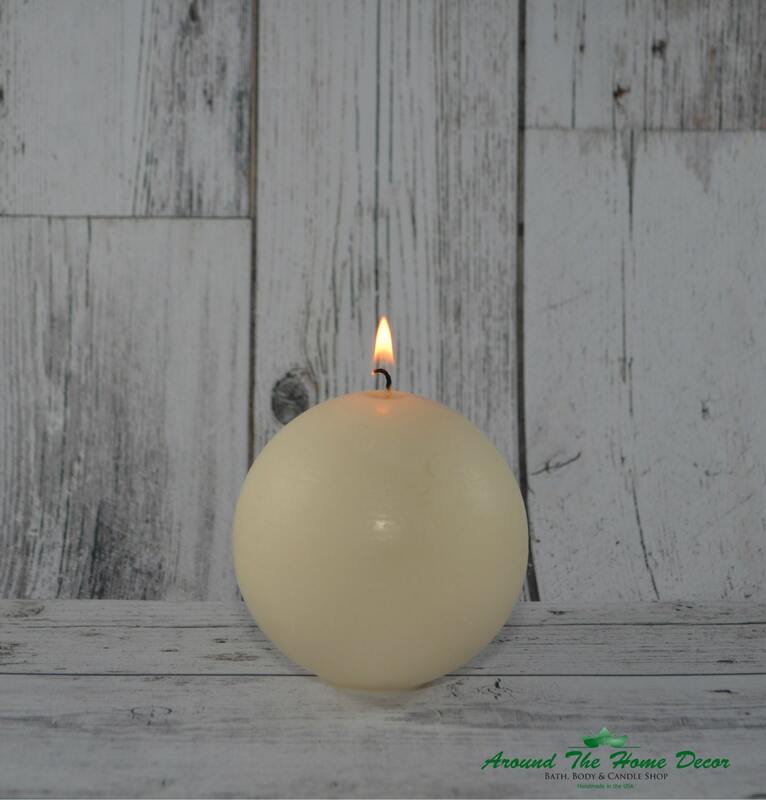 Large Round, Ball Candle. Handcrafted All Natural Vegan Soy Sphere Candle with 100% cotton Wick, unscented or in any fragrance you choose from the list below. 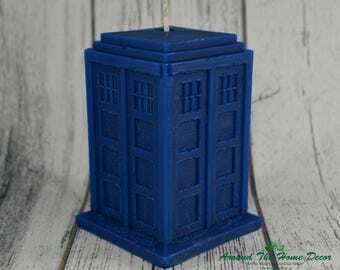 This listing is for 1, 3 inch small sphere candle. Long and Beautiful Burn! It is STRONGLY recommended that you message me a color swatch or an example of the color you need and understand that getting to that color is more of an art than a science. I will do everything I can to match the color as best as possible. Color may vary slightly per batch with large orders. ** denotes fragrances that are safe and can be chosen for use in our skin care products. Try Mixing and Matching fragrances for a scent that is as Unique as you are! If you don't see your favorite fragrance on this list, feel free to ask me if it is available! I am always looking to expand my stocking and am eager to hear what you like the best! All of our candles and wax melts are made with 100% Vegan all natural soy wax, grown and produced right here in the U.S.A.! Everything we make is Cruelty-Free. We Hand-make our candles and wax melts with premium fragrance oils which are approved for use in candles by the FDA and National Candle Association. Our candles do not contain parabens or lead. We produce quality candles that burn clean and have long burn times! Please enjoy! Just perfect!! Burn evenly and are beautiful to look at!! Great candles! Just what I wanted for my candle holder for the holidays. They burn perfectly, too. Experimental custom order turned out beautifully! Prompt delivery and all recyclable and/or compost-worthy shipping supplies. BRAVO!!! This candle smells absolutely wonderful. I love the warm vanilla sent it gives my home! It arrived very fast. Will be order another one, but in the lager 5 inch size next time in that same vanilla sent. I am very happy with my purchase. 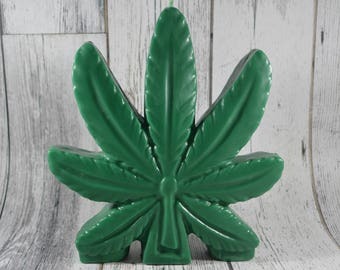 Scented -or- Unscented Marijuana Leaf Candle. 100% All Natural Vegan Soy Handmade Candle.